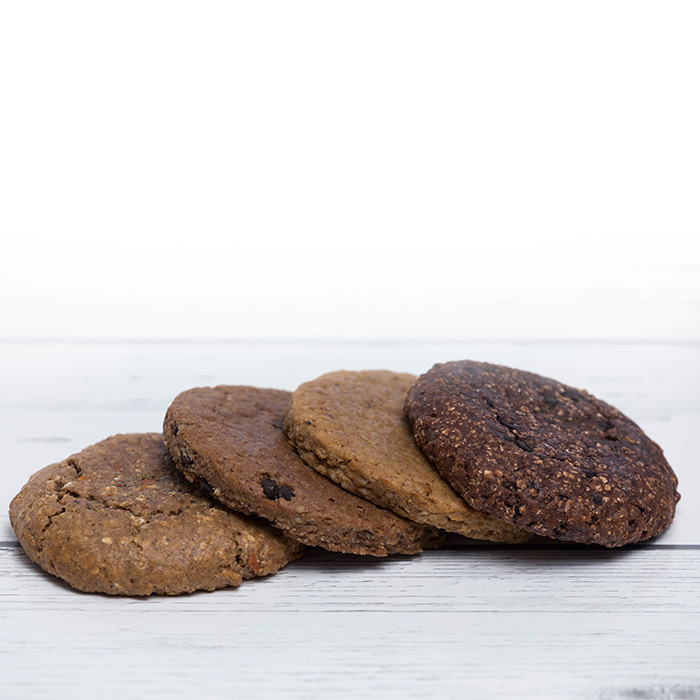 The four flavour combo contains all four of the Mama T's Protein Cookies flavours. To view the nutrition profiles for each flavour visit their individual pages. The four flavour combo contains all four of the Mama T's Protein Cookies flavours. To view the allergen warnings for each flavour visit their individual pages! Sometimes it’s just impossible to choose. Do you choose the original Oatmeal Chocolate Chip Protein Cookies, the Walnut Carrot Cake Protein Cookies, the Chocolate Macaroon Protein Cookies, or the Ultimate Peanut Butter Protein Cookies? Luckily for you, you don’t have to. We’re packing up all four flavours for you to enjoy, and you get to choose how it’s mixed! ” simply the best !! !